An American friend of mine suggested I read Gaia Vince and her latest book Anthropocene a journey through our Planet. I’m normally into spy thrillers and the like so getting into something substantial like this is quite a challenge if like me you read at bedtime and the eyes close ever more quickly. So I got started and the first chapter was all about the high villages of Nepal and the problems that they are experiencing. Pollution , lack of water, lack of education and modern technology. Frankly the sheer physicality of the lives people in Nepal are leading and their resilience was inspiring within only a few paragraphs. My adventure into Gaia’s book was warning of the dangers. If you dry out the Mountains, lose the Glaciers the earth becomes unstable. Soon the tectonic plates begin to re-act and the inevitable result is earthquakes and many of them. Today people are living outside because daily quakes are happening and the people are afraid to go inside even if their homes have survived. You could despair, wring your hands and send off another cheque to Oxfam or invest in a copy of Gaia’s book. It will inspire you with what individual people are doing. One man is creating Glaciers to replace the ones lost by global warming and its effects. Another group are creating internet networks almost out of tin cans. Renewable energy is being developed but they must be careful not to overuse Hydro as water is such a scarce commodity. Parallel this with Chile and its plan to destroy parts of the wilderness in Patagonia with huge hydro schemes to fuel growth thousands of miles away in its cities. This for a country that has huge seaboard boundaries that could create networks of on-shore wind turbines, tidal and wave power projects and save Patagonia. Anyway I hope I have given you a starter for ten and a reason to buy the book. Of this I shall write more very soon but here`s another thumbnail from the US. My friend sent me the following latest report from the USA which in part is positive in part what we expect. But with knowledge and communication we can better tackle the future together. "We need to recognize that hydropower doesn’t use water. Its not consumptive. It merely extracts some energy as the water falls back to the sea "
Several months ago British journalist Joanna Lumely recorded a four day interview with Will.i.am, formerly of the Black Eyed Peas. Much of the interview was done while Will drove Joanna around to several Los Angeles locations that were of importance in his life. 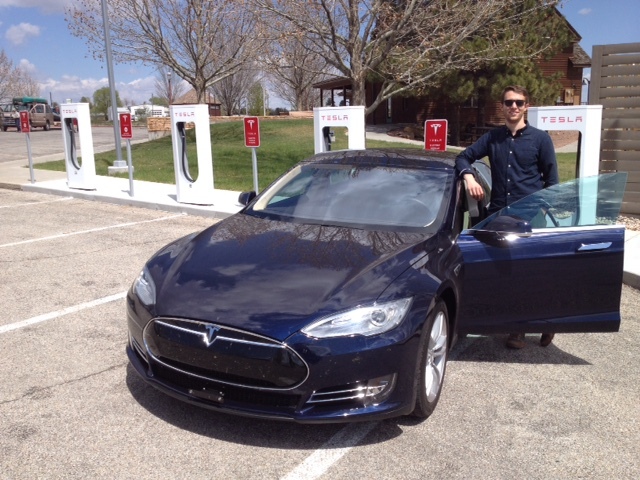 Will drives a Tesla Model S as do many other California celebrities. In many ways Will’s life and the interview itself provide a clear image of the near term future. First of all the interview was not filmed, it was recorded digitally. It could very well have been recorded using a smart phone but was probably done using a digital device that could easily fit in someone’s carry-on luggage. Compared to similar efforts just 20 years ago this ability is almost magic. One feature of the interview focused on Will and Joanna in Will’s recording studio while he created a song. The process by which Will composed, recorded, edited and mastered a complete song in just four hours would have mystified studio engineers from just a few decades ago. Technology is evolving at an ever increasing pace. Wrist watches are soon to be on the market that will provide most of the functionality of today’s smart phones.Glasses can now serve as full motion high definition video cameras. How long before phones become implants? The point is that what we see as cutting edge now will be old news in just a few months and the pace is quickening. 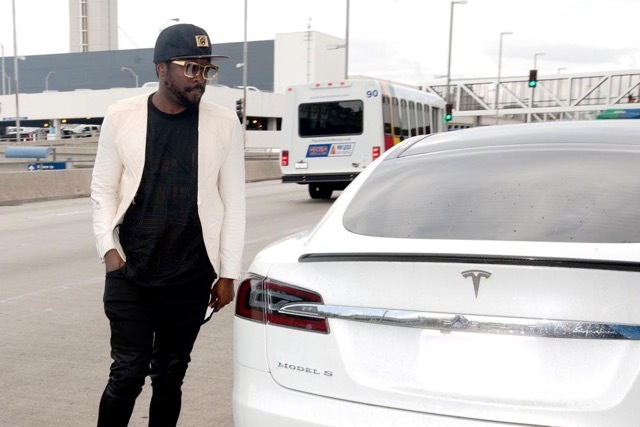 That brings us to Will.i.am’s Model S and EV’s in general. There are still many people who insist that the technology for practical, affordable EV’s just doesn’t exist. Not enough range, batteries are too expensive, charging time is too long….. The list goes on. These naysayers can be countered with sound arguments. Most major auto manufacturers already produce hybrid vehicles, sort of half EV’s and consumers really like the better gas mileage. Most major manufacturers are working on delivering plug-in EV’s within the next few years and the auto industry has lots of money and employs lots of great engineers. Does anyone really believe battery range won’t be extended, charging times reduced and costs brought down when major corporations are throwing money and expertise at the problem? This one interview that Joanna did for the BBC provides a very good lesson about the pace of technology as well as a peek at the future. Are practical, affordable EV’s a part of our near term future? Without a doubt. "Thanks to John for his coverage of the Joanna Lumley – Will-I.am documentary. John gives us an American eye view of the issues and I echo his thoughts about the future of electric transport. Once you have driven electric you never want to go back to the old technology, smell and rage of the petrol engine. Its yesterday as they say, electric is tomorrow. This weekend talk to Nissan or your favourite car deal about what the options are to test drive and see the future for yourself. " 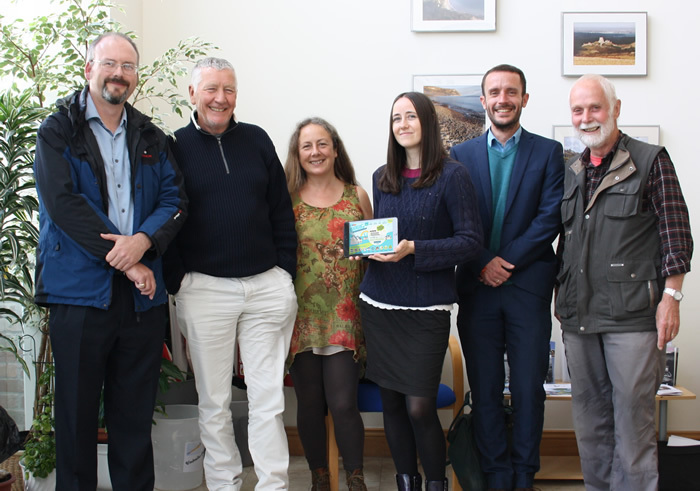 The ‘Renewable Energy Advocate Award’ puts Dorset firmly on the map for quality solar installation. Nominated by leading industry solar inverter manufacturer, Enphase Energy UK, NGPS Limited of Poole in Dorset picked up the award for the South and South West at a prestigious event held at Birmingham’s NEC Arena. The event was organized by one of the UKs most influential solar energy magazines, Solar Power Portal, and the awards ceremony was a celebration of the UK solar industry during their Solar Energy UK Exhibition at Birmingham’s NEC. Enphase Energy UK pioneered a breakthrough in solar inverter technology with the introduction of the micro inverter. This meant an entire solar panel system would no longer be controlled by just one inverter, as each panel is able to host its own and be controlled individually. This has enabled a large degree of flexibility for shaded or dust prone roofs as the entire system is not compromised. The technology also enables the option of a split roof installation in the case of smaller roofs, and energy production is greatly enhanced as the panels can begin generating earlier in the day than a traditional system, and later into the evening. “Congratulations to Nick Good and his family run business NGPS for their amazing Renewable Energy Advocates Award earlier this month. 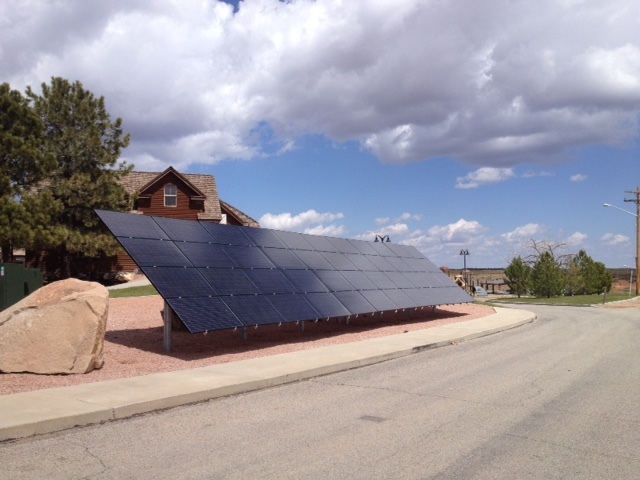 The award was connected to their ground breaking work with Enphase whose system ensures that solar panels high on grooves across the land really are in good working order and report on monthly generation at the solar location. Nick was the very first accredited Solar Installer in the UK and he has built a reputation for giving sound advice, good value and extremely good service to his customers. We at Dorset Energised and now Lets get Energized have been helped in every way by NGPS in our work to spread the good news that is renewable energy in all its forms. This week 20th to 24th October 2014 people across Dorset and the UK are celebrating Big Energy Saving Week. Energy bills are reported to be the top financial concern for households, so Big Energy Saving Week highlights positive, practical actions that will help homeowners take control of bills and save energy. Dorset Energized was initially founded by a small group of renewable energy enthusiasts who first met in 2011 at a meeting of the Dorset Energy Partnership’s Community Sustainable Energy Working Group who launched this website on the simple premise that everyone in Dorset, as individuals, households, businesses and communities, need to invest in renewable energy today and reduce our energy demand by becoming more energy efficient and sustainable. 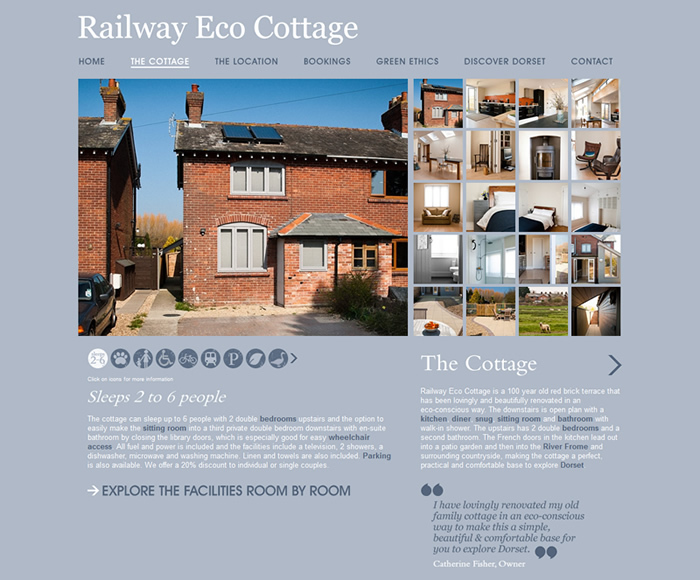 It is very important to work at a local level when it comes to community energy generation, but since we launched our website in 2011 we have realised that much of the information here is relevant for all UK home owners and tenants, so this October we have expanded to become Lets Get Energized. We hope to improve our site even further over the coming year and welcome your feedback and hope you will continue on the journey with us. You can also still meet our team at local events under the banner of Dorset Energized. We are also very excited to welcome new blogger Holly Barber from The Simon King Wildlife Project who will be posting later this week. We want to continue to engage and enhance the fulfilment of everyone, to help reduce family’s energy costs today, whilst protecting the landscape, wildlife and the planet we all live on for future generations. Lets Get Energized will continue to be an independent not-for-profit organisation and over the past year, the group has successfully teamed up with ethical energy companies including the UK’s only 100% renewable energy suppliers Good Energy and Ecotricity, both based in the South West, to offer UK wide users, special deals and incentives. The key message is that if there is one thing we can all to today, whether we are renting or homeowners, single or with a large family, is to switch to a green energy supplier. Many green energy tariffs are now also competitive in price to “the big six” and both Ecotricity and Good Energy have rapidly grown their customer base over the past year and continue to be rated top on Which? Customer satisfactions surveys. Ecotricty are also committed to investing in the UK’s Electric Highway while Good Energy are investing in several solar farm projects including here in Dorset. Turning your room heating thermostat down by just 1 degree – which could save you around £65 per year and 260kg of carbon. Insulating your loft to massively reduce the heat loss from your home - it may seem a bit boring, but homeowners could save £200 per year if they insulated. There are lots more energy saving tips under our Energy Efficiency pages. We would also like to hear local stories from throughout the UK, and what one thing you pledge to do this week to save energy (just send your Comments below!). So, what are you waiting for? Its time to get energized and join the renewable energy revolution! Start now and explore your energy options here. I recently changed energy supply to Ecotricity and was surprised yet delighted to be given 1000 free miles for my Nissan LEAF electric car. This equates to nearly 15% of my annual mileage so is an enormous help. Equally I have recently used Ecotricity charging points at IKEA in Southampton and at a number of M3, M5 service stations. The points have all worked really well and are free at the point of use, once again reducing my energy costs for travelling. Late last week I had to travel up to Lincolnshire a round trip of 500 miles and in the short time I had, this meant going by my LEAF would be very hard. So I talked to my local Nissan dealers F J Chalke in Wincanton, and without any fuss they offered me the use of a courtesy (non-electric) car. My only comments was how much I missed my LEAF! My first trip to the filling station took my breath away – £79.00 to fill up with diesel and although the car was pretty economical I still had another trip to make to the garage to top up. So for cost, comfort and everything to do with green energy, I just couldn’t wait to get back behind the wheel of my LEAF! Ecotricity are doing so much to improve the Electric Highway, that the next long trip I make, I shall give myself a little more time so I can take my LEAF. If you own an electric car, you too can switch to Ecotricity’s Green Electricity + Car tariff and get the equivalent of 1,000 free miles of electricity each year. For an electric vehicle to run emission free, one vital piece of the jigsaw is often overlooked – where your electricity comes from. Ecotricity think electric cars – powered by green energy – are the answer. Ecotricity’s customer service is the best in the business – they have topped the 2014 Which? Energy Consumer Satisfaction Survey. For more information or if you need help checking that your car is eligible, visit www.ecotricity.co.uk/for-the-road/green-electricity-car or call Ecotricity (and quote ‘Dorset Energized’) on 08000 302 302. Respect Organics “Riding on Sunshine” with Good Energy! Some time ago, as Managing Director of my family business Respect Organics – which is based in Shaftesbury and very proud to be the UK’s leading organic cake producers – I became interested in renewable energy. Its closeness to Organic Food and The Landscape made it attractive partners for both Respect Organics and our Art Gallery, hence why we helped to found www.letsgetenergized.co.uk. My wife Lin and I aren’t green revolutionaries, but as a family we’ve always simply loved nature and the countryside. As someone who always looks to the future I embraced the concept of ‘future proofing’ and so was the first in our home village of Sturminster Newton (and probably for miles around) to cover our roof in solar panels and buy a lime green Smart car. I also help with the local Sturminster Transition Town project, and appreciate just how complicated all the green issues are. In all honesty the Respect Organics cakes are organic because that way they simply ‘are what they are’, no compromise. What it always comes down to in the end is taste and good value. (And you should see us demolish a ginger cake!). So we helped set up Dorset Energized to share our passion and help inspire Dorset people to get energized with renewable energy! Good Energy fitted that bill with their overwhelming commitment to renewables and so we changed supply in our bakery, offices and at home. We were meet with caring real people who were contactable and approachable. It felt like a time long overdue and its been a great experience having them as our supplier. 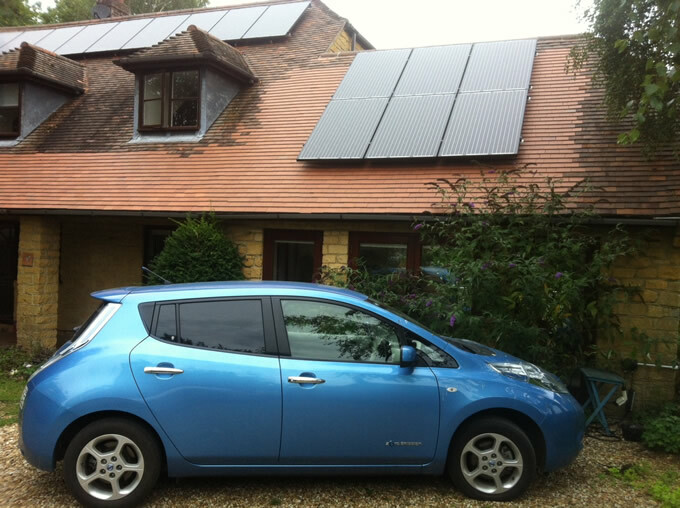 I now also have a Nissan LEAF 100% electric car supplied by FJ Chalkes which I love and on good days I charge it using our solar panels at home fitted by NGPS Renewables – read more about that here. My wife Lin calls it “Riding on sunshine” and frankly that’s how it feels! 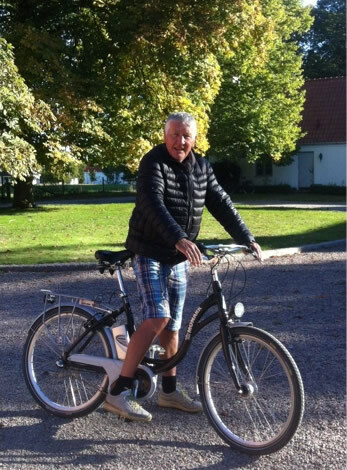 Plus my electric bicycle also makes for a smooth effortless ride. Controls allow me to use differing levels of power and at the lower the e-bike has an average range of 50 miles! We are thrilled to have also teamed up with them so we can provide an exclusive offer to Dorset Energized users to help you make the switch to green energy too – so if you switch to Good Energy, quote ‘Dorset Energized’ and they’ll give you an amazing £50 off your first bill so you can start saving money straight away! Click here to switch to Good Energy today – we think you will be as happy as we are! 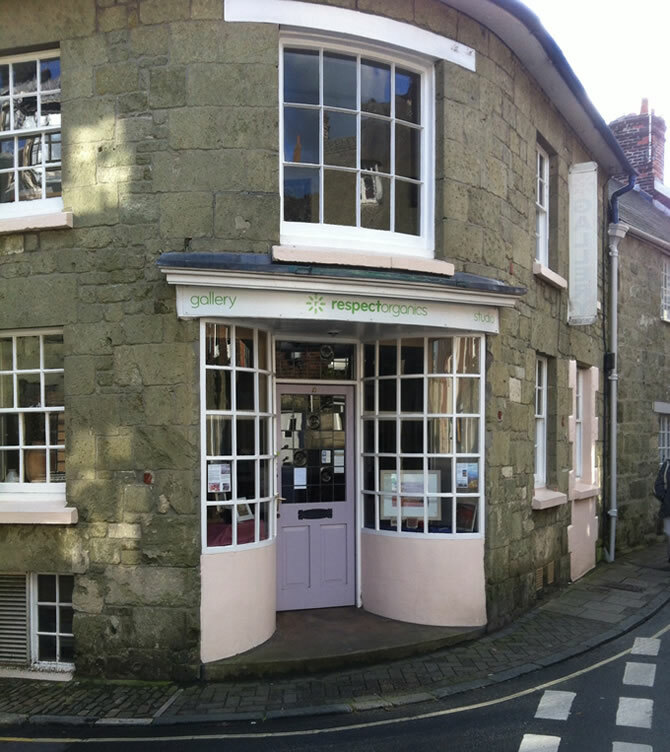 We love hearing stories of Dorset businesses embracing renewable energy! 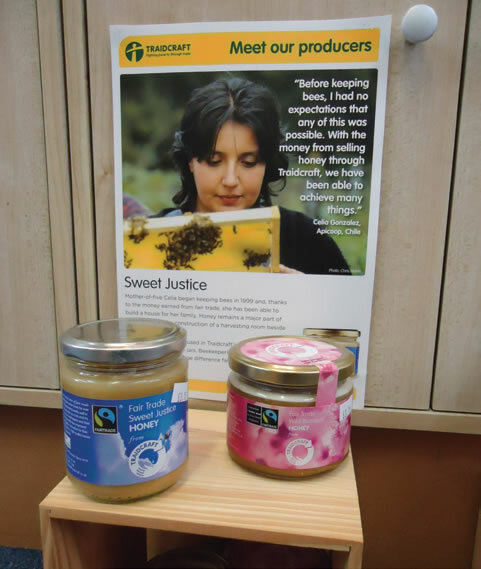 Green energy supplier Good Energy’s business customer Fair Ground have been bringing fairtrade products to Wimborne in Dorset since 1995. Margaret Pearce of Fair Ground welcomes Good Energy’s work on solar in our county. Fair Ground sells a variety of products at www.wimbornefairtradeshop.co.uk, from gifts and baby clothes to coffee and honey, all of which are fairly traded. Businesses can save up to £90 of your first bill if you switch to Good Energy and quote ‘Dorset Energized’ and home users can save £50 off your first bill – so you can start saving money straight away!